Under its dynamic new leadership, The Vermont Symphony Orchestra (VSO), an established performing musical arts organization, chose us to execute a complete brand overhaul and help them bring modern to classical music. Our first order of business was revamping their outmoded website and digital platform. The key to this challenge was engaging the savvy tech music lovers, yet keep with the historic core audiences. 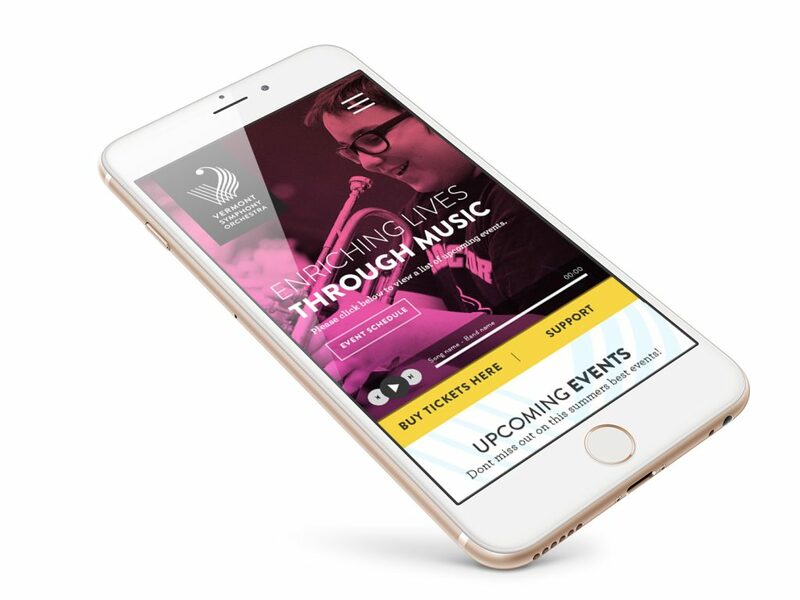 The result: an easy-to-navigate site gleaning a fresh clean look and feel with a customized digital platform allowing the VSO team flexibility to communicate directly to their arts community. A mobile friendly version with unified touch points added to a seamless online experience. We showed that classical can be state-of-the-art. Following work on their site, we were asked to bring them full brand potential via marketing initiatives covering tailored outreach and social campaigns, strategic event planning, and program booklet redesign.